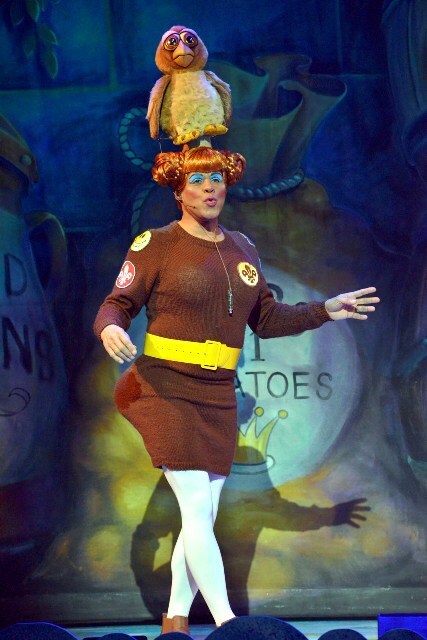 Birmingham Hippodrome panto seems to get bigger and better every year, but this season's offering of Jack and the Beanstalk is the best yet. Producers have hit upon a winning formula by going much bigger on laughs and jaw-dropping special effects, rather than attracting huge celebrities. 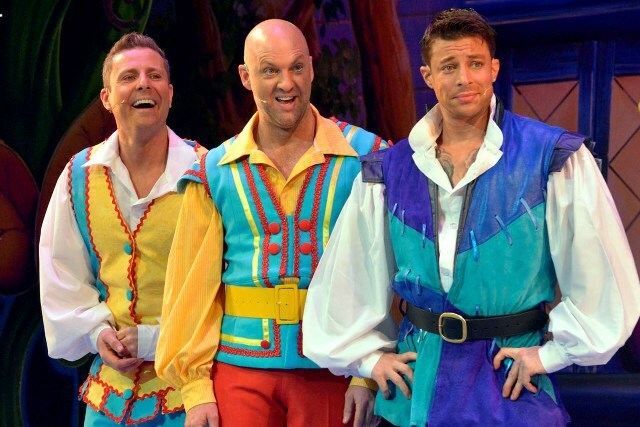 Compared to previous stars like Joan Collins and Brian Conley, Duncan James from Blue (playing hero Jack) and singer Jane McDonald (the enchantress) are likeable headliners for this year's shenanigans, which take place in the fantasy world of Little Brum. Then there is Coronation Street's Chris Gascoyne as baddie Fleshcreep, over-run with black eyeliner and leather. For those who enjoyed last year's Snow White, you'll be glad to hear that the trio of comedians - Matt Slack, Gary Wilmot and puppeteer Paul Zerdin - return. The three have a wonderful chemistry and Slack, in particular, steals the limelight as Silly Billy with his slapstick antics that are the best in the panto business. Add to that his close of the knuckle jokes and he's an all-round entertainer for both the adults and children. The big talking point of this year's show is the special effects and among the highlights are a full size helicopter, a beanstalk that grows in front of your eyes up to the theatre ceiling, a huge giant and an impressive 3D film sequence when Jack goes into the giant's lair, which raises panto to a new level. If you are taking under-fives to the show, be warned that they may find some of the 3D section a little scary though. Despite all the effects, however, it is actually the more basic comedy scenes that provide the most entertaining and popular sequences of the production. The 12 Days of Christmas song, where Slack, Zerdin, McDonald and Wilmot frantically grapple around the stage is hilarious and the highlight of the show. Then there are the dancing animals including a pantomime cow called 'Moo' that does the moonwalk to a Michael Jackson song, plus the wonderful moment that Gary Wilmot sings 'If you leave me cow' to the tune of the famous Chicago song. That's the real meaning of panto right there. Jack and the Beanstalk is a slick, hi-tech affair that has to be the most spectacular panto in the Midlands. That is reflected in the ticket price, which is slightly higher than pantos at smaller theatres in the region, but what you get for your money is pure entertainment. What's more, it's also very, very funny for all the family. Birmingham Hippodrome has set the standard for the biggest and best panto in the country for years and this year is no different. Oh no it isn't! Approx. 2 hours and 30 mins including an interval of 20 mins. Tickets cost £14 - £40 and are available from the Birmingham Hippodrome website. 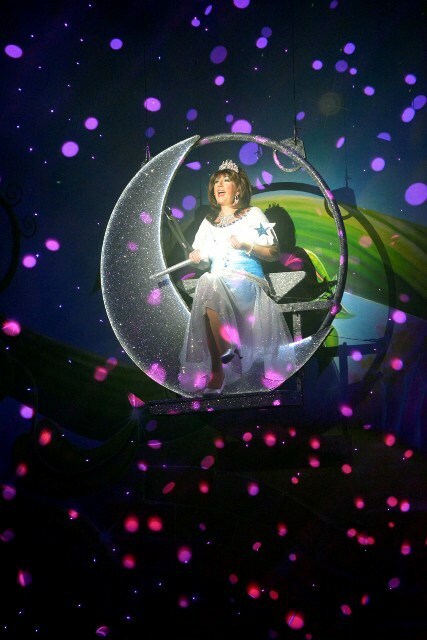 I agree with Alison's review - this year's Hippodrome panto is the best yet. A great afternoon or night out for both children and adults!